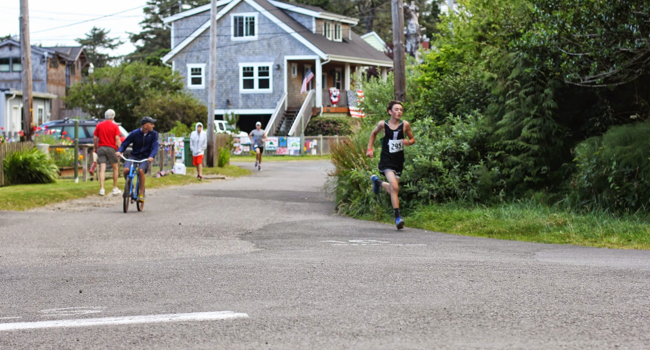 Get up early and lace up, it's the 7th annual Neskowin 5K Runabout! Register before June 15th for $15. After June 15th registration is $20.00. Please register early! As a last resort you will be able to register on July 3rd from 7:00pm to 8:00 pm for $25 by the Neskowin Course Golf. 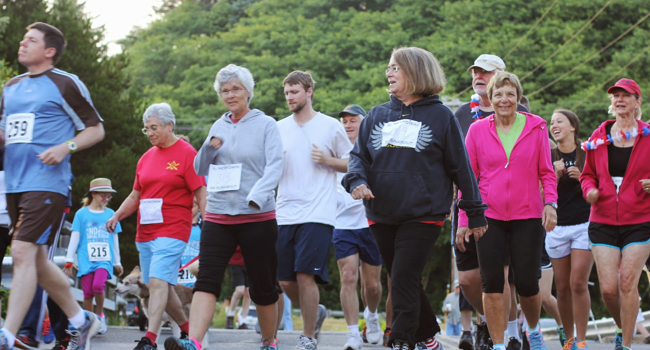 Registration does not include a t-shirt, add an additional $10 for a t-shirt. Is there a 2017 T-Shirt? Of course there is, and it looks awesome! Check it out below. T-shirts are an additional $10. Be sure to register by June 15th to guarantee you'll get one. This year we will again donate all of the proceeds to the Neskowin Community Association Fourth of July Fireworks Fund! 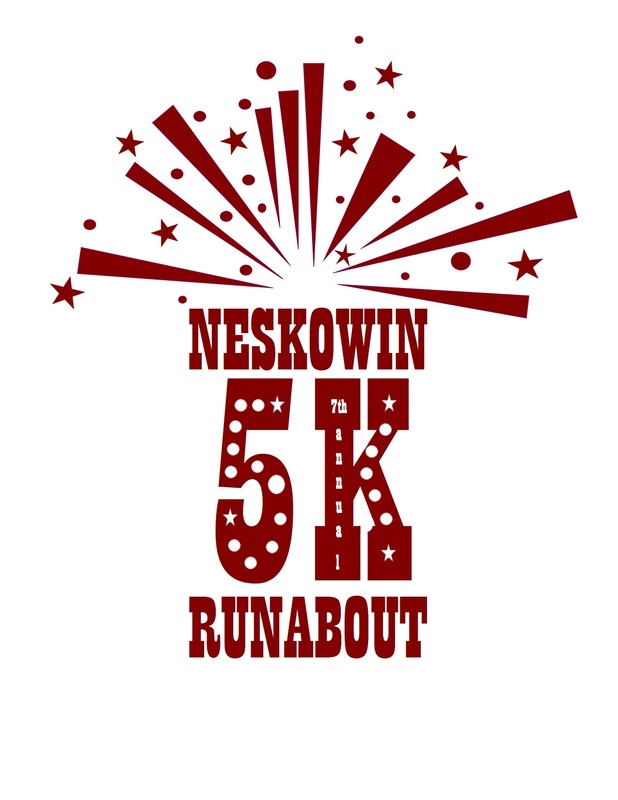 Here's a brief history of the donation over the years: In its inaugural year the "Unofficial" Inaugural Neskowin 5K Runabout raised an astounding $650, which was donated to the Neskowin 4th of July fireworks fund! In 2013 all $750 of the proceeds were again donated to the fund. While there were more participants there were also considerably more expenses in 2013 as we implemented the self developed timing system, which is considerably less expensive than renting an official timing system each year. $1,335 was donated in 2014, $2,030 in 2015, and $2,000 in 2016! 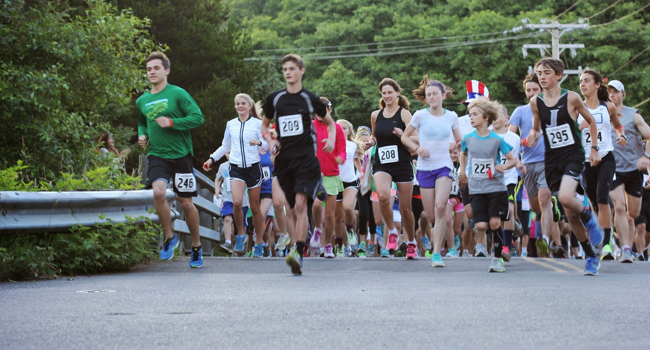 Packet Pickup is between 7:00pm to 8:00pm on July 3rd, in front of the Neskowin Golf Course. When and where is the race start? 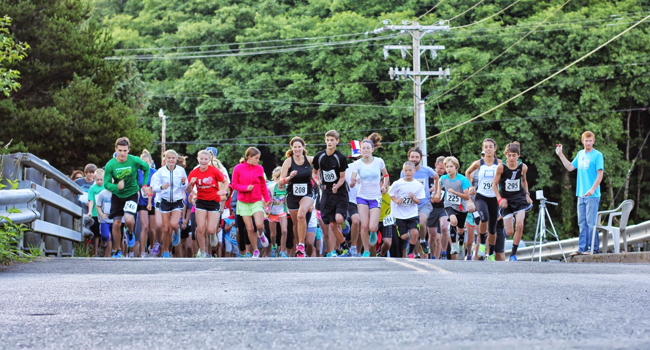 The race will start at 7:30 am sharp (thanks to our official timing system). 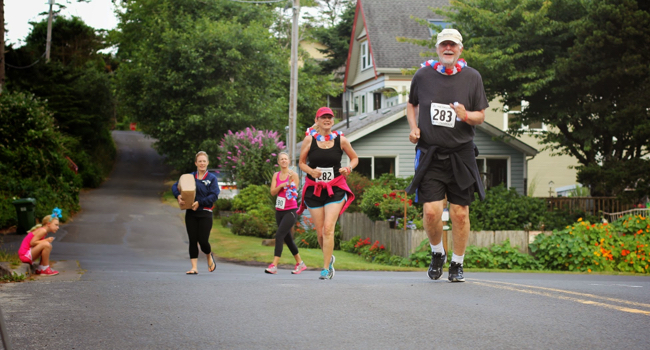 The run takes off right in front of the Neskowin Golf Course! 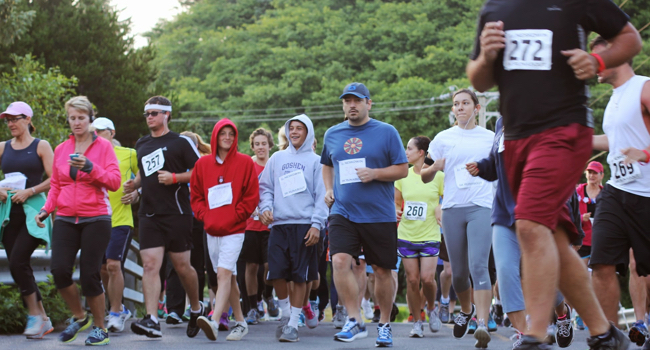 Please arrive in that general area at 6:45AM to check-in, the race will begin promptly at 7:30AM. Reminder: Due to official timing system, there will be NO day of registration! "On your mark, get set, go! Why does it have to start at 7AM?!?! Those people are running fast! We are starting at the Neskowin Golf Course. It combines a "out and back," "loop" and features more streets of Neskowin. We will start out at the golf course and head towards the beach on Amity. Turn north on Breakers and then back towards the Golf Course on Sheridan. From there the course will look similar to prior years as you head out to North Beach on Hawk Street. Right at the gate is the "Turnaround Tree" which must be rounded before heading back south on Hawk Street. There is a water station there to get you rehydrated. On the way back, the route turns right onto Corvallis Ave and follows it around the corner as it turns into Breakers Blvd. It continues to follow Breakers Blvd until a left turn on Yamhill Ave. Runners will then turn left onto Hawk Drive and then a quick right on Amity Ave through the finish line at the Golf Course! The course is just over 3.13 miles making it a tiny bit longer than a 3K, but it is nice and flat! You can find the route map here. It's so flat, it's so easy, it's so fun! Have a question or concern? Send me an email!